Wooden floors can be as durable as they are beautiful. But there’s a big IF in a statement like that. Wooden floors can be as durable as they are beautiful IF they are installed properly. And any proper installation must begin with an understanding of the continuous relationship between wood and moisture. As a growing tree, wood holds a full measure of moisture as the sap that runs through its cells, carrying water from the root system to the branches and leaves. The cells are like bundles of long, narrow drinking straws that help the moisture move up the length of the trunk and out through the branches and twigs. Obviously, the moment a tree is felled, it begins to lose moisture that is not renewed through its root system. But even as it loses moisture, the cell structure of wood makes it possible for it to reabsorb moisture that exists as air humidity. Wood ultimately reaches a point of equilibrium with its environment, but change the environment and the wood will lose or absorb moisture accordingly. As the moisture moves in and out of wood flooring, it will actually change dimensions depending on moisture conditions. Because most saw cuts run vertically rather than horizontally, cut wood will typically change in width and thickness, not in length. The degree of change will be influenced by the amount of moisture being absorbed or lost, the species of wood, the season it was harvested, the part of the tree the lumber was cut from, the width of the board and the type of saw cut used (to see a dramatic example of this principle, try experimenting with a stalk of celery. Cut it into lengths both horizontally and vertically and place it in water for a day or two and see what happens!). Because of the nature of wood, thorough acclimation is critical when installing wood flooring. Moisture levels in the average household are considered to be between 6-9% and wood flooring is generally dried to this level. But regional and seasonal variations mean that even wood flooring manufactured from properly dried lumber will need an acclimation time in the installation environment to prevent extreme changes in the finished floor. Think of this – even a change as small 1/32” per 2” board multiplied across an eight foot room equals 1 ½” of gapping or swelling. Engineered wood also needs this acclimation time. It tends to be more dimensionally stable but is still susceptible to moisture damage. And pre-finished flooring may be less susceptible to moisture absorption but it still has the capacity to change based on moisture conditions. After allowing time for proper acclimation, the next step in a proper installation is taking moisture measurements in both the flooring and the subfloor. 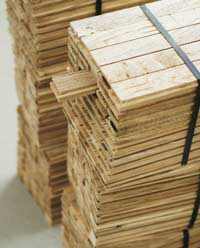 A selection of boards from each bundle should be checked to be sure the wood has reached the correct moisture level. A variety of handheld moisture meters on the market allow for quick and accurate scanning without damage to the flooring surface and this critical step can prevent a multitude of problems down the road. Once these two steps of acclimation and moisture checking have been completed, you will be able to install the flooring with the knowledge that you have taken two of the more critical steps to minimize moisture-related problems. It will be a floor that is as durable as it is beautiful. 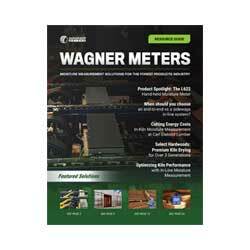 Wagner Meters can help you protect your beautiful wooden floors from moisture damage. Wagner offers a variety of easy to use, handheld moisture meters for wood that can verify the moisture content level of your flooring. Our 5″ oak flooring was installed prior to the house having HVAC and even some of its doors. We raised concern with the builder, and were told that as long as the floors weren’t finished before HVAC, they would be fine. Is that true? Thanks for the question. There is no guarantee this will or won’t work. 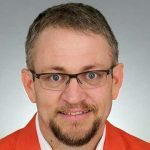 It really depends on what kind of moisture content the wood had prior to installation and how that compares with the environment it will “live” in after installation. Most flooring manufacturer’s will require or recommend some type of acclimation on the jobsite prior to installation. It would probably be best, if you have a concern, to contact the wood flooring manufacturer and discuss this with them. Thanks. So, what’s the reason for measuring moisture content BEFORE installation as opposed to after installation but prior to stain?